The State Archives and Wisconsin Government Publications programs collect, catalog and make available records and publications of permanent value created by Wisconsin state agencies and local units of government. 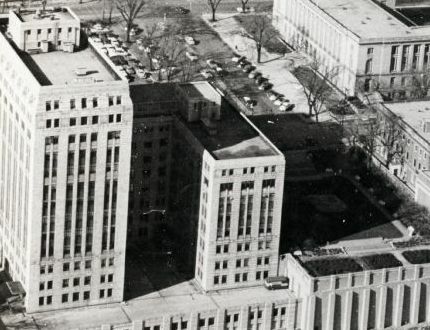 The State Archives collects records of permanent value created by Wisconsin state agencies. Please visit the state agency records section for information regarding the administration of records, retention schedules and guidelines, and how to transfer records to the State Archives. Visit the electronic records section to find resources for managing electronic records and for transferring electronic records to the State Archives. Learn about the records facilities and resources available to state agencies and local units of government. Local government records include those created by Courts, Counties, Muncipalities, and other local units. Please visit the local government records section for information regarding statutory requirements, records schedules, notification and destruction, and general guidance for public records care. The Wisconsin Historical Society Library is one of the three official state-level depositories for State of Wisconsin publications participating in the Wisconsin Document Depository Program (WDDP). In addition to publications from Wisconsin state government agencies, our collections include U.S. Federal government publications, as well as publications from Wisconsin county and local governments, other state governments, and Canada. Please visit the government publications section for information regarding WDDP and our collections. The Wisconsin Historical Society harvests selected websites of state agencies, local governments, political campaigns for gubernatorial or U.S. Senate races, topical issues and online publications. These websites are preserved using the Internet Archive's "Archive-It" web harvesting tool. Explore Wisconsin public records online in the new WHS Electronic Records Portal. In 2015, the Wisconsin Historical Society received a three-year grant from the National Historical Publications and Records Commission (NHPRC) to implement a sustainable electronic records workflow from state agencies to the society. General guidelines for managing records at a state or local government agency. For more specific guidelines and procedures, consult the State Agency Records or Local Government Records sections.